Last time on SF 2016, I woke up with the sunrise after taking a little 2-hour post-clubbing nap to meet Christine for breakfast! Then we enjoyed a really leisurely, gorgeous stroll through the Palace of Fine Arts and Crissy Field. After enjoying the scenery for a bit, it was time for a little pick-me-up! After basking in sunshine, sea air, and people+doggy-watching, I felt my 2.5 hours of sleep catch up to me and was slammed with a wall of exhaustion. It was time for my first San Francisco cup of coffee! Christine and I had passed several very educational signs at Chrissy Field, one of which was describing the snowy plover, a very cute little bird. It is also the name of a trendy coffee beverage at Andytown Coffee Roasters (review), which turned out to be a really refreshing drink at exactly the kind of coffee shop I expected to visit in San Francisco. At Andytown, Ben joined us to perk up himself and to join us for lunch at San Tung for some delicious Chinese food. Unfortunately, Christine and I were still pretty stuffed from breakfast and Ben was too sleepy to feel hungry. But the food was really delicious. From there, it was time for us to work off all that food with the Lands End Hike. We started at the Sutro Baths, or more accurately the ruins of the baths. It was a beautiful, beautiful hike. A bit strenuous for sure (and all the more difficult holding our leftovers from lunch) but it was really lovely to see the views and to breathe the fresh air. This whole day was really invigorating and I was so happy to spend it with Christine and Ben. I took a LOT of photos of the Golden Gate Bridge, of the baths, of the water… but I’ll spare you for now. The timing fairies were in our favor and, by skipping the Lands End Labyrinth, we were able to finish the hike in time to get Ben over to Japantown to meet back up with his friends for dinner. In fact, we were a bit early, so we browsed around Daiso (which we don’t have on the East Coast) and a little shopping center before splitting up for dinner. Greeted at the end of our hike with an affirmation that we did, in fact, hike Lands End. We said our goodbyes, and I still had some time before Ben’s group wrapped up at Korean BBQ, so I walked around the closing shops that we had browsed together just a little while earlier. My first walk-through, I felt sensory overload by all the things and prices and wowowowow factor, but with the shops emptying out and the sky getting darker, I was finally able to re-center and re-focus on the present and feel just a little less dead. I also got to try out this fun liquid nitrogen dessert from Chocolate Chair that was like a giant Cap’n Crunch Crunchberry (sorta) that let you breathe out dragon’s breath when you ate it. Very drying but super fun to play around with once you get used to it! I posted Snapchat and Instagram stories of me trying to look like a dragon! There are folks on Youtube who did a much better job than me, though. Our last full day in San Francisco finally came to a close, and honestly, I had a really amazing time. I only started fading around dinner, but the energy of the Bay really kept me going. We had so many amazing Lyft and Uber drivers throughout the day. The weather was absolutely perfect. It was going to be hard to say goodbye to this wonderful weekend. Did we miss any major sights while we were in San Francisco? What are your favorite Japantown eats? And what’s the last super-hyped food you tried? Was it worth it? The dragon’s breath dessert was… just okay. Really drying, not particularly tasty, and the effect of the liquid nitrogen doesn’t last very long. But it’s fun to try once and to split it with a bunch of friends! I wanted to treat Ben (and myself) to a little something special for our recent trip to New York, so I booked us seats at Dominique Ansel’s after-hours, 7-course, dessert-only, 8-seat tasting menu, Unlimited Possibilities (U.P.). I first learned of U.P. from my friend Michelle, who wrote an amazing write-up for the “First Memories Last Forever” menu that was available last year. The thought and execution of a menu that was designed around memorable “firsts” really drew me in, and I loved seeing how they used dessert to evoke these experiences and tell a story. This season’s menu theme is “American Dreams“. (The theme changes every 6 months.) Each course is meant to evoke a different era of American dreams, beginning with the gold rush and ending with viral video. There is an additional wine pairing option, although we didn’t opt for that because we don’t drink very much so it didn’t seem worth it. We were, however, given a champagne flute of sparkling apple cider (one of my favorites!) to kick off the evening as they lowered the table from the ceiling. We were then served a savory amuse-bouche because it’s supposed to be an inverted tasting, so because all our courses were sweet, courses that would ordinarily be sweet were savory. Last time on NYC 2016, we were a lot more successful with the alliterative post titles… and we really tried to experience some more typical tourist activities like Smorgasburg (which I left the island of Manhattan for, yes) and Broadway and even some shopping in Times Square, which both of us have learned to avoid. It was time for our last full day in my home city. Note: I took almost no photos this day EXCEPT at our dessert-dinner, which will get its own dedicated post, so brace yourself for a lot of text and not a lot of pictures to go with it, sorry! We made plans to get dim sum with Ben’s friends that we were partying with in Koreatown the other night (which was bonus time with them, as we had only planned for dim sum! ), so Sunday morning we headed down to Chinatown. Dim sum in Chinatown on the weekends is a great opportunity for catching up, because you will be waiting in line for a while. We wound up being seated fastest at Joy Luck Palace, which, to be honest, I wouldn’t visit again. The food was all pretty meh and we had to specially ask for egg custard tarts, aka dan ta 蛋挞! Those should be standard, not something we ask them to make for us and then wait half an hour to eat. (But shout out to the manager who did acquiesce our request for those little golden delights.) Also, in a show of who is truly more popular in the New York metropolitan area, Ben’s old college roommate’s family showed up for dim sum and I got to meet a lot of family members that I didn’t get to see when they graduated! With the whole crew assembled (and a few new Pokemon for our friends), we walked over to the Bowery Beer Garden (located beneath the Wyndham Garden Chinatown) to watch the much-anticipated UEFA Euro Final between Portugal and France. We got there pretty late as far as a good view of the TVs went, but we were still able to enjoy the game. Soccer is one of the few sports that I get really into watching, but I haven’t been following for a while. When asked which team I was rooting for, I didn’t know until the end when Portugal scored their sole, game-winning goal and I felt devastated. Evidently, I was rooting for France! It was a lot of fun to watch the game, despite how hot and mosquito-y the day had started to feel. Ben and I then parted ways with our friends to start heading over to Greenwich Village for our dinner reservation. Well, dinner might not be entirely accurate. I wanted to treat Ben to something special, so I got us seats at Unlimited Possibilities (U.P.) by Dominique Ansel. I will have a more in-depth review coming up soon, but it is an 8-seat tasting menu of all desserts. The theme of ours was American Dreams, with each course based on a different era of American success and ideals. I would definitely recommend eating a light dinner beforehand, as the courses, while well-thought out, aren’t very big. And it is dessert! (We scarfed down some more Joe’s Pizza in Washington Square Park before heading inside because duh.) It was a really nice experience that I’m glad we could try once. A preview of our time at U.P.! Holding little silver balloons and bellies full of sweets, we headed back up to our hotel to meet one of my oldest friends, who lived just a few blocks away. (I thought he had moved, but he’s still there after a few years!) We had a quick catch-up late-night meal at BXL East and it was just like old times. I’ve known him since I was 12 and no matter how much time passes between us talking, we fall really easily back into laughter and jokes, which I appreciate so so much. Our last morning in New York, we woke up, enjoyed our coffee parting gifts from U.P., and munched on pastries at the nearby Paris Baguette, which may be becoming a departure tradition for me. Then, one last yellow cab trip to the Javitz Center to reminisce about a very boring conference for Ben and away on our bus we went. And you can bet we got Bojangles upon returning to DC this time. What is a treat-yo-self meal that you like to indulge in when you visit New York? It was my first time doing a ~fancy~ meal but I know there are a lot of other ways to blow cash on good food in the city! What are your favorite dim sum dishes? Mine are the 凤爪 chicken feet (!! ), the 蝦肠粉shrimp in rice noodle rolls, and 蛋挞 egg custard tarts, among many others. Where else should we have visited in New York? We can go next time! Doing a favorites post every Friday was a lot of pressure, so now that I’m trying to stick to a Tuesday/Friday update schedule, I thought I’d take some time to share a handful of favorites from the month of September! I did not know that! But now I do, as I have proof right in my freezer. You think it’s gorgeous now? It is decadent, it is indulgent, it is wonderful. Come over and I’ll share with you. Or, more likely, no one will come over and I’ll eat the rest by myself. I am the last member of my family to get a down/down-alternative duvet. It’s just one of those nice luxuries that I somehow got left out of in my family. Just like how everyone else had a tablet — specifically an iPad — and smartphone before I did. But those weren’t things I wanted. 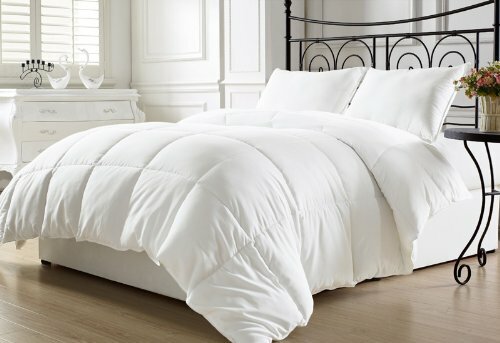 A comfy, fluffy down-filled (or down-alternative-filled) duvet? Want. And want I did for a few years. Now that I am moved into my new place, I thought it was the perfect chance for me to get a new, warmer duvet. It feels SOOO nice, even though it was summer when I started using it and a bit toasty. I got this one and it is lovely! So comfy and cozy! And now I have something to put in duvet covers! Some shows I have to wait for mid-season premieres, but hey, whatever keeps my TV queue light is okay by me. Of course, I still have lots of other TV to watch so I’m going to be keeping busy with my weekend TV catch-up sessions. Cuties sharing food even though they each have their own dishes. For all the grief they give me, I do love these kitties. They’ve gotten so big since I first met them, and they had already doubled in size between when they arrived in their new home and when I first got to see them! These sister kittens are so precious to me, despite my being slightly allergic to them. I really love just playing with their toys and then watching them curl up for little catnaps because they’re all worn out from playing. Cuties sleeping next to each other even though there is so much room elsewhere. I usually have a lot of stuffed animals on my bed, mostly because I attach a lot of sentimental value to them and like to have them there. Since moving to my new apartment, most of my bed buddies haven’t migrated over just yet as I tried to focus on essentials like having a bed in the first place. My bed was pretty lonely, especially given that my new bedspread color scheme is greys. Don’t get me wrong, I do really like the greys but I hadn’t gotten around to getting a little pop-of-color throw yet. I was looking in my work bag and I found Pooh! I had been prepared to bring him to work to remind me of the simple pleasures while at work, but I deemed the office to be a hostile environment for a bear like him. Now, he is the sole bed buddy (at least for now) in my room, and he is so soft and I love him to bits. September was kind of rough, but October is here! I’ll be spending the next few weeks primarily planning, planning, planning, so I hope that all comes through! How was your September? Any random recommendations from your month?